4 1/8" x 5 1/2"
Margaret Gebbie Hays (1874 - 1925) was the older sister of Grace Drayton (nee Viola Grace Gebbie). The two collaborated on a comic strip titled The Turr'ble Tales of Kaptin Kiddo and other projects, like the book Vegetable Verselets for Humorous Vegetarians, published by J. B. Lippincott in 1911. They also created the Kiddie Land series of books together. Like her sister, Hays created many paper dolls. 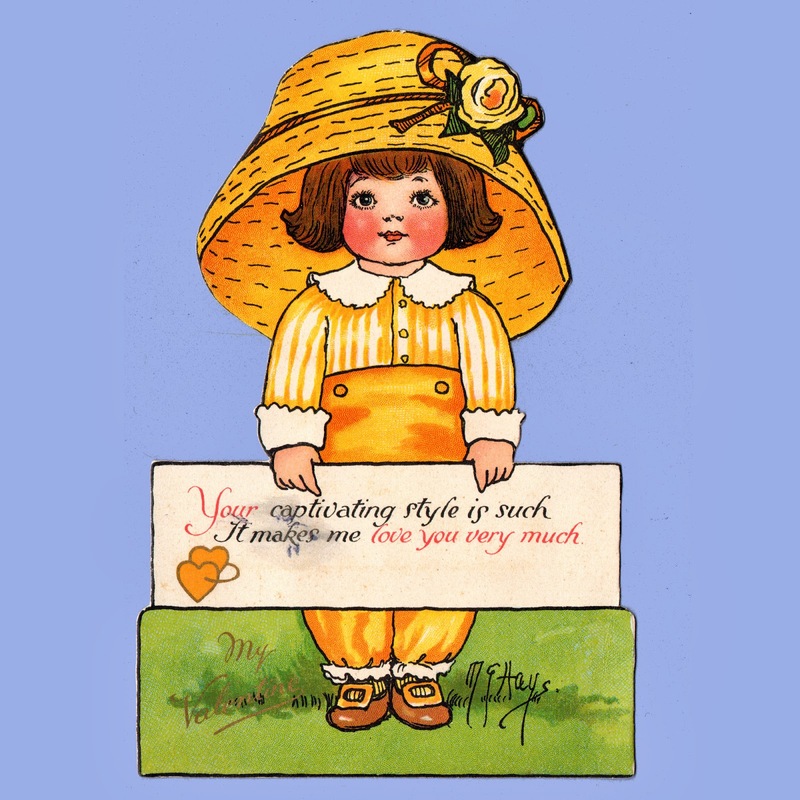 Postcard collectors look for her paper doll postcards. These featured a doll with a couple of outfits to be cut out from the card. Hays was a talented writer as well as an illustrator with a variety of published works including an impressive number of books, credited to her name. 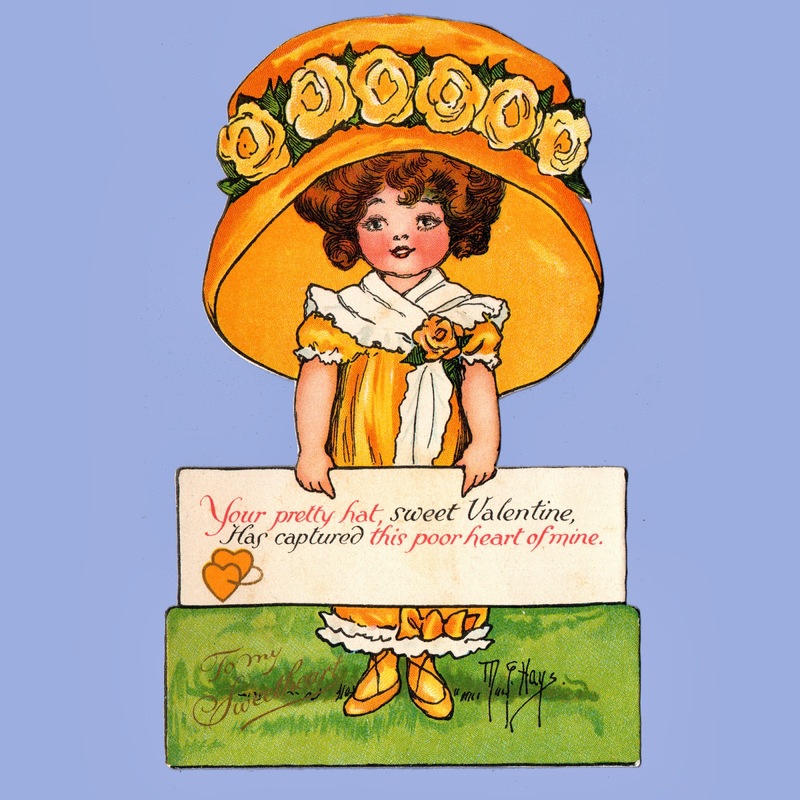 She was even a song lyricist, writing the words for Her Poke Bonnet, a song with music by Louis Lichtenstein, in 1910. As if that were not enough, she was also a published poet, writing rhyming verse to go with her own illustrations. 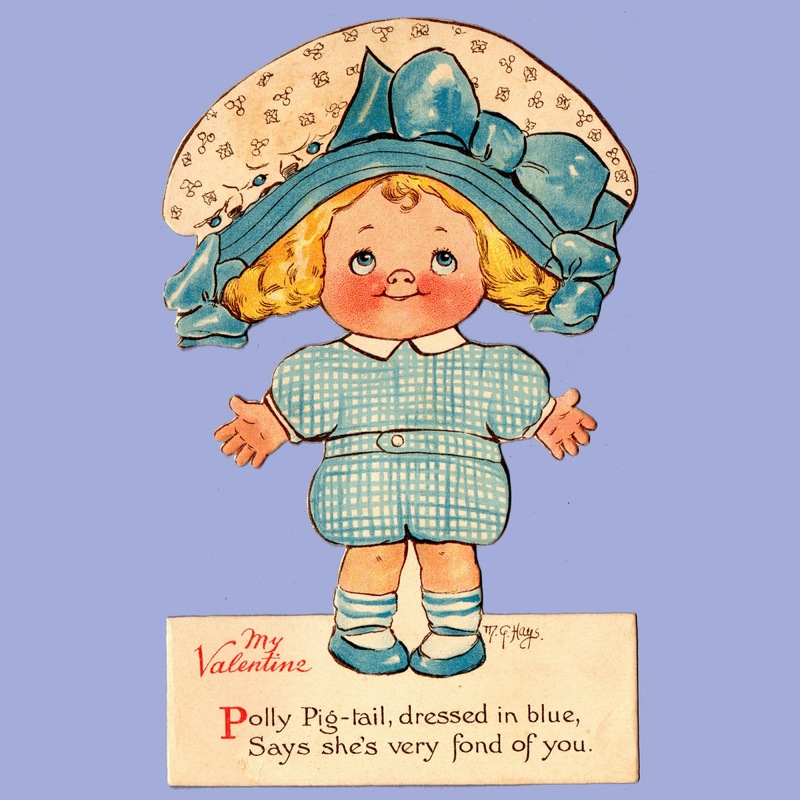 My Valentine Polly Pig-tail, dressed in blue, Says she's very fond of you. Her career in writing and illustrating began with newspaper comics. Her first work appeared in the Philadelphia Press in 1906. The bulk of her published work appears to date to the 1910s. Frank A. Hays was the husband of Margaret (nick named Peg). 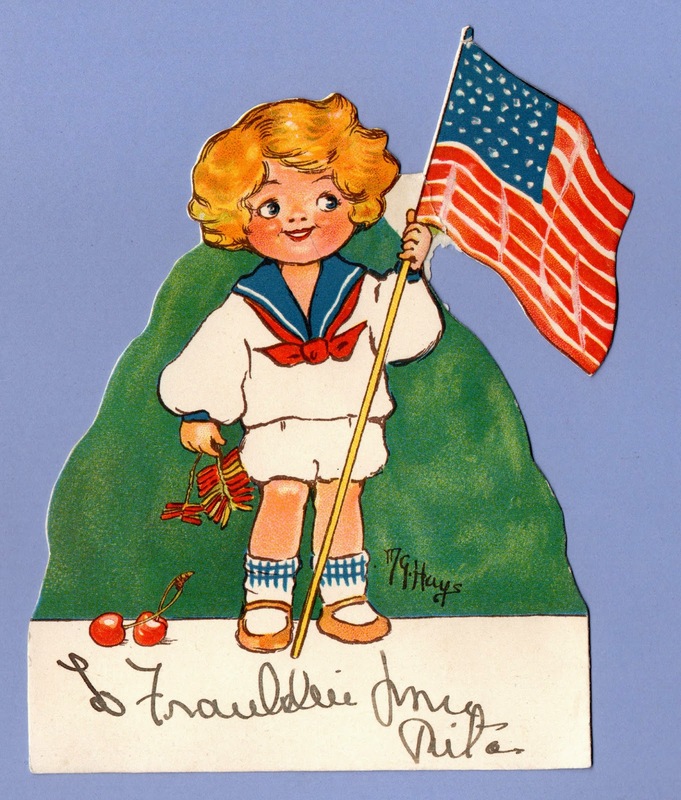 His company, Children's Novelty Co, was a maker of dolls. They produced dolls created by his wife and her famous sister. The patents for the Bobby Bobbykins and Dolly Dollykins dolls both bear his name with a filing date of June 8, 1909. 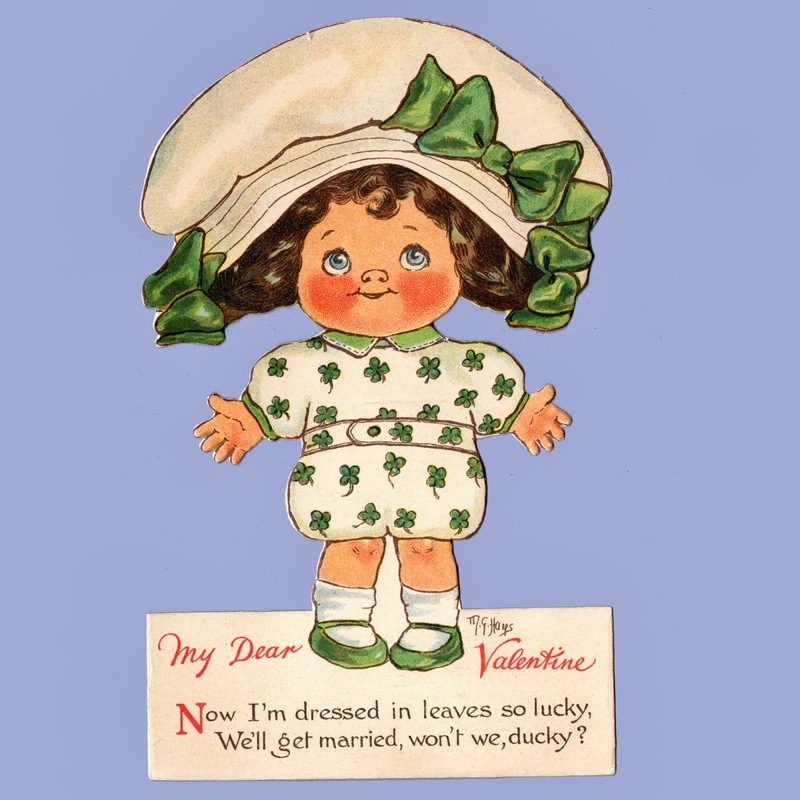 My Dear Valentine Now I'm dressed in leaves so lucky, We'll get married, won't we, ducky? 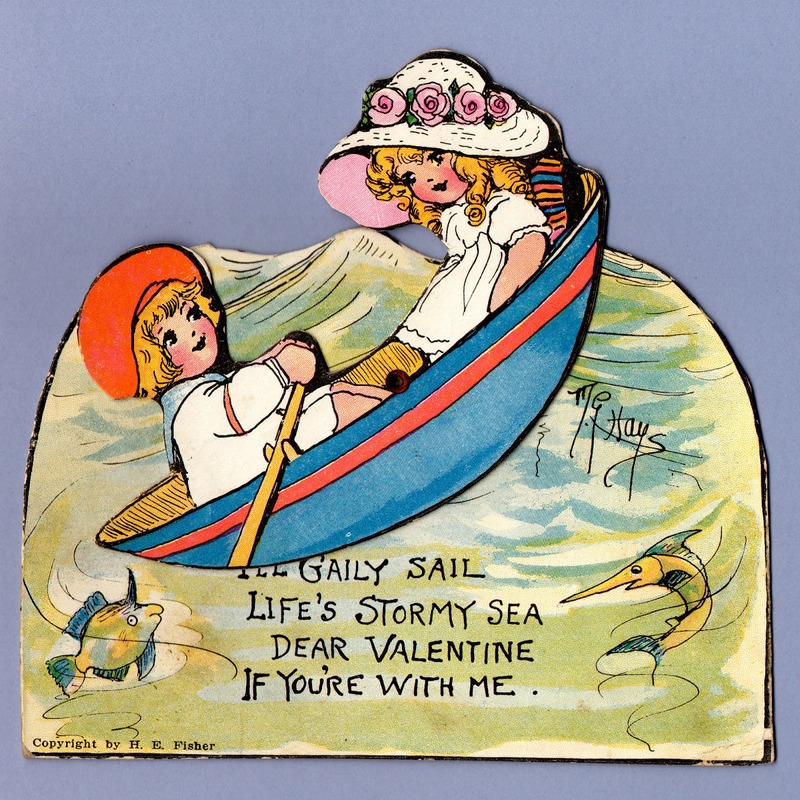 Continuing the family tradition of working in the arts, Frank and Margaret's daughter Mary Hays Huber was also an illustrator who created valentines among her other works. 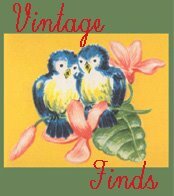 You can see a card by Huber on our page featuring cats. 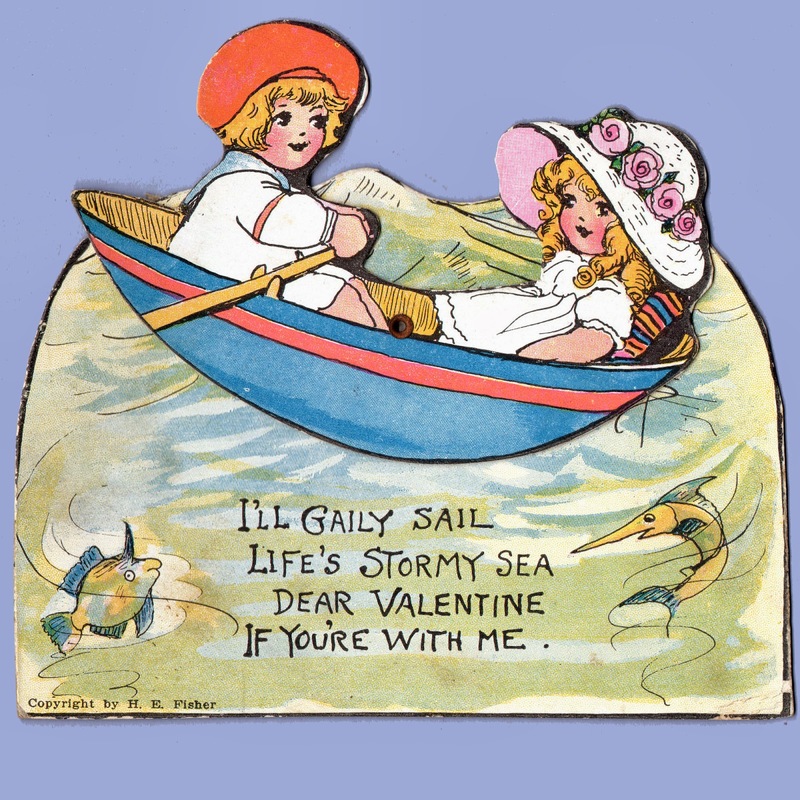 My I'll gaily sail Life's stormy sea Dear Valentine If You're with me. 5 1/8" x 4 1/2"
Your captivating style is such It makes me love you very much My Valentine. 3 7/8" x 5 7/8"
Your pretty hat, sweet Valentine, Has captured this poor heart of mine.